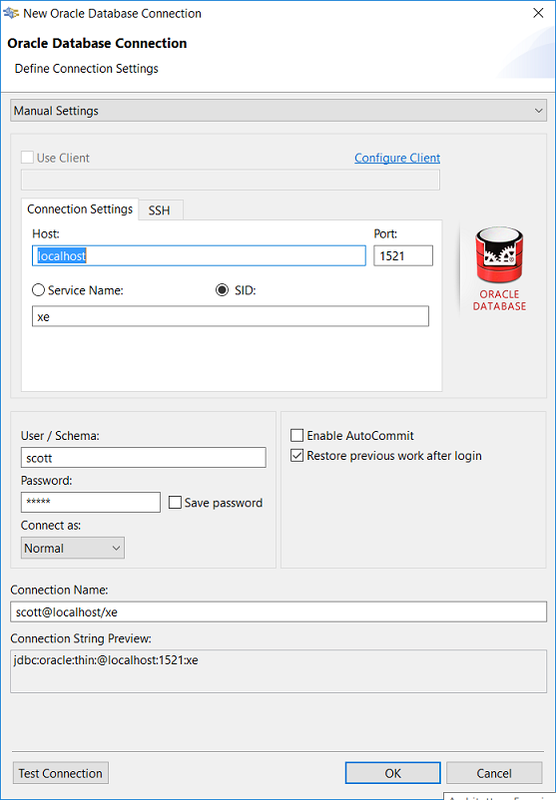 In this article we see how to connect to an Oracle database from Eclipse . 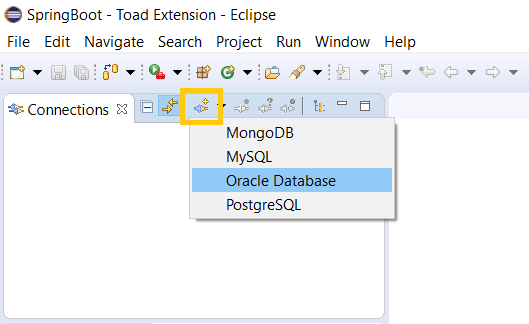 To do this we use a plugin called “ Toad Extension for Eclipse “, developed by the same authors of “ Toad for Oracle “, the development and monitoring environment for Oracle programmers and DBAs used as the main alternative to Oracle SQL developer. 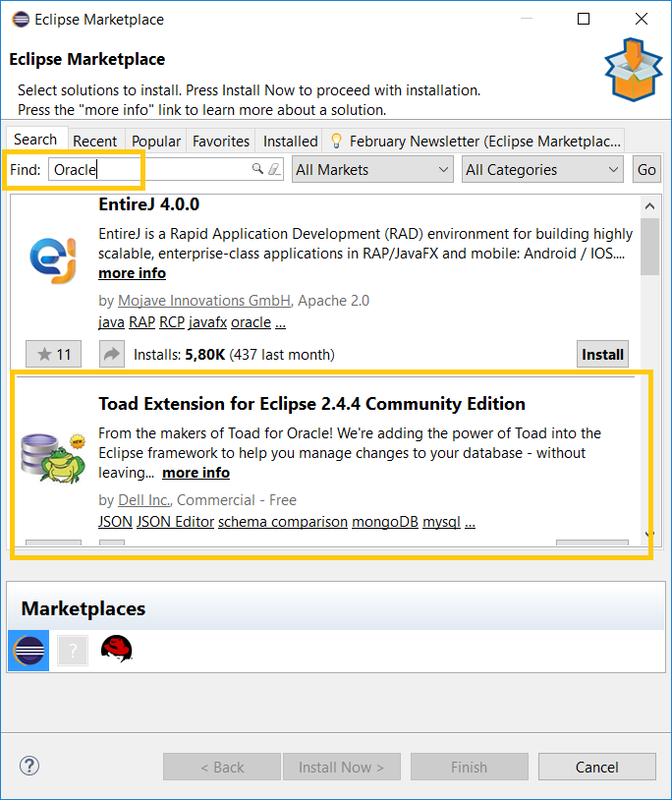 Among the first search results we can found the “Toad Extension for Eclipse” plugin we were looking for and we can then proceed with its installation. 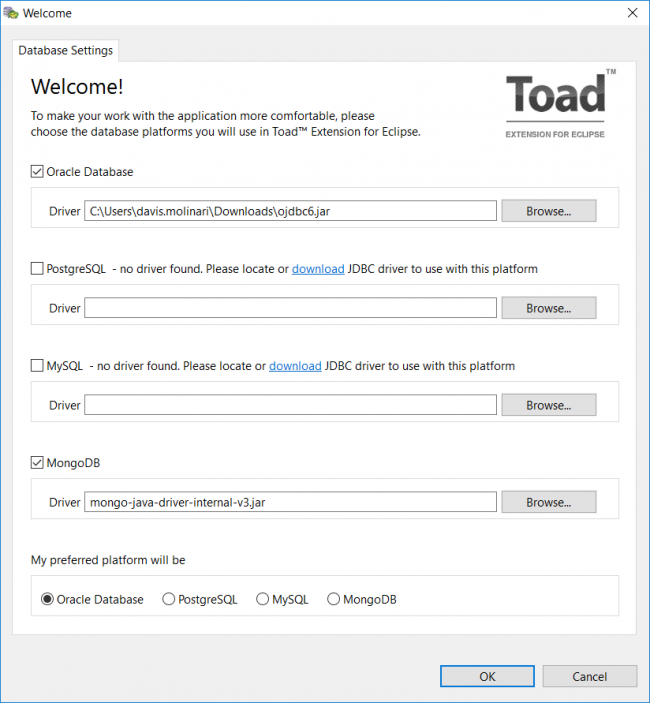 Once the installation is finished, we are asked for an Eclipse restart and, at the next startup, we are shown a welcome screen that invites us to select what are the DBMS we’are supposed to work with and to use the plugin for. In addition, we are also asked to indicate for each of them the position of the relevant driver. After entering this information it is possible to make a pre-test to verify that the connection is working properly. In case of a positive test result, we can proceed with the connection to the database by clicking “OK”. The new connection will appear then in the “Connections” panel saw earlier, while in the “Object Explorer” panel below we find all of the objects related to the Oracle database we are connected to. In the Eclipse main panel instead it opens a “worksheet” where we can write our queries and other statements we want to perform on the database. 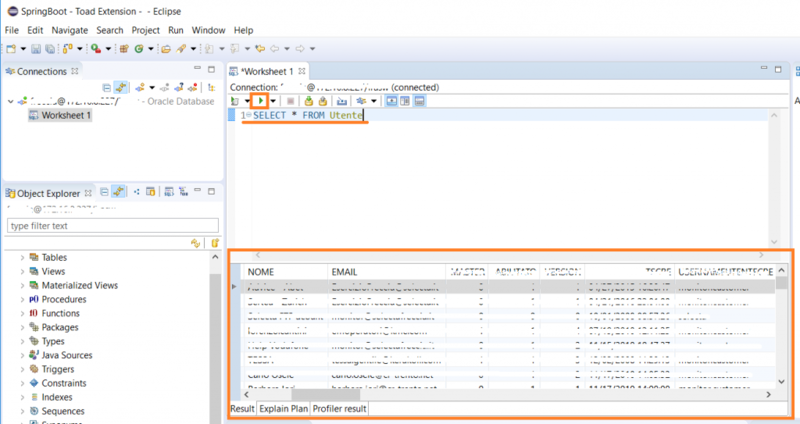 If we try for example to execute a query, we will see the results table in a panel below. 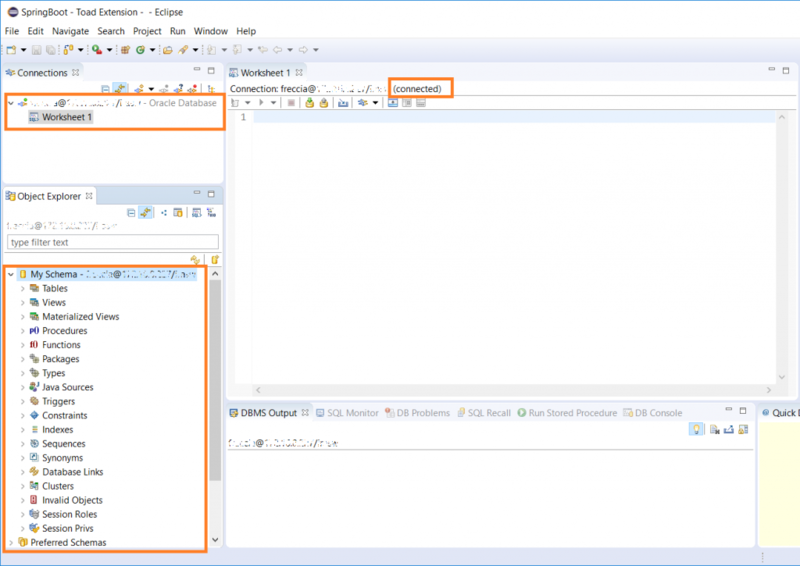 Finally, we are now ready to work with our Oracle Database directly from Eclipse.